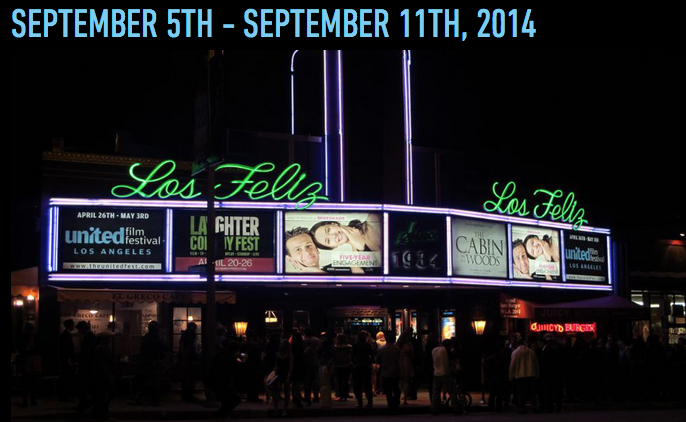 The United Film Festival Los Angeles will be returning to the City of Angels for its 7th year at the Los Feliz 3 from September 5th through the 11th. The festival will be screening great independent films, both features and shorts, and a midnight screening of their cult classic documentary, The Rock- afire Explosion. Jason Connell is the founder and director of the United Film Festival, which started in Tulsa in 2002 and then spread to Los Angeles & New York in 2007 and next to San Francisco, Chicago & London in 2009. The festivals have a rich tradition of screening exceptional independent films and have gained a respectable reputation in only a few years time. Connell’s distribution division, the appropriately named United Films, has grown rapidly and now represents an impressive and constantly expanding library of independent films. If you’d like to check out the full schedule or buy tickets, visit: theunitedfest.com/LosAngeles! NOTE: Tickets for most screenings are $10, with the only exception being the midnight screening, which is 2 for $10.